CHAPEL HILL, North Carolina (June 6, 2016) — James Taylor’s songs are filled with memories of his childhood in North Carolina, and the focal point of his life in the ‘50s and ‘60s was the Taylor family’s home at 618 Morgan Creek Road, in Chapel Hill. 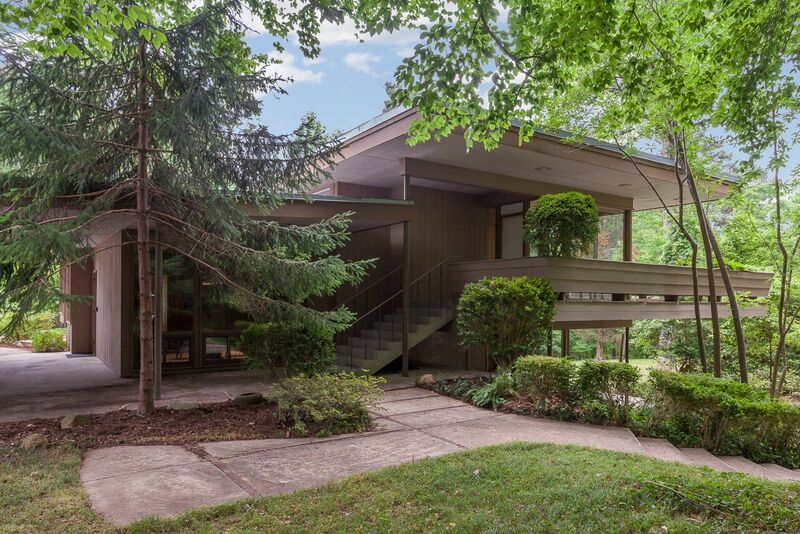 The home, a unique example of Modernist design from the 1950s, is being sold at auction, with AuctionFirst Inc. managing the sale. “It was a remarkable environment to nurture the creative minds of James Taylor and his siblings. Isaac and Trudy Taylor moved the family there in 1952 and remained for 22 years. By all accounts, Trudy Taylor put a lot of work into creating an environment that would enrich the lives of her children. This home still tells much of the singer’s story, right down to the two-bedroom guest house where James used to hang out with his four siblings and listen to music. His initials are still carved into the deck,” said Sarah Sonke, president of AuctionFirst, which specializes in Modernist and unique architectural homes. Set on 24 pastoral acres, the home incorporates the work of three renowned architects – George Matsumoto, John Latimer and Arthur Cogswell. “It’s really remarkable to see this much land just two miles from the University of North Carolina campus, where Dr. Isaac Taylor was dean of the School of Medicine,” she said. The burning question for many is that of who will buy the home, and for what purpose. “Many would obviously like to see a new owner who will move into the home and preserve its basic character. But that will be up to the buyer. Our job is to sell the home, not determine its future course,” said Sonke. Sealed bids are due by 3 p.m. Wednesday, June 29. The top three bidders will be invited to participate in a second round of bidding that will determine the winner. Individuals seeking additional information or showings may visit JamesTaylorChildhoodHome.com or 919-601-7339.